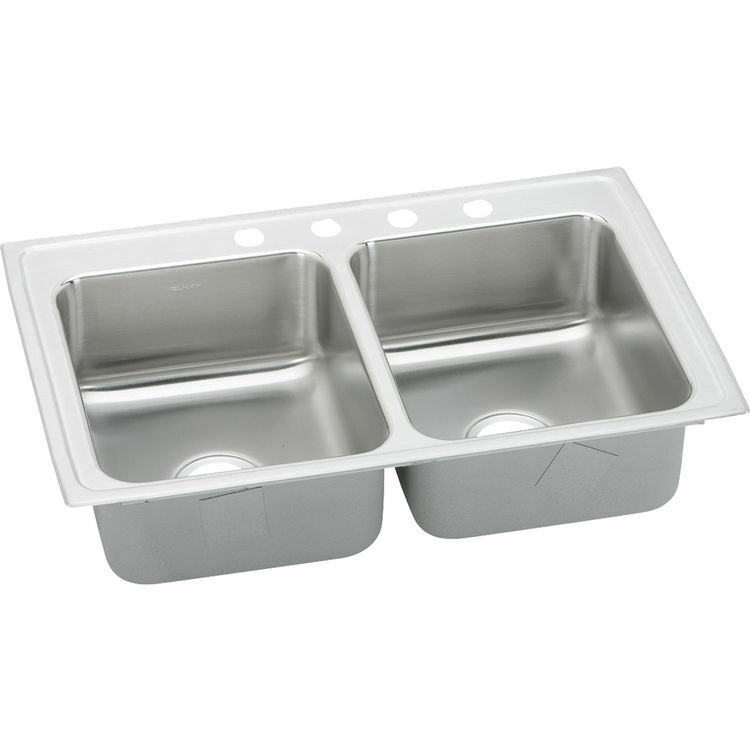 The Elkay LRADQ331965MR2 33 x 19 Inch Gourmet Sink with Quick-Clip. Elkay is an American-owned and operated company that provides thousands of customers with the highest quality sinks and service possible. Elkay is known across the nation for their complete kitchen and bath products for both residential and commercial applications. 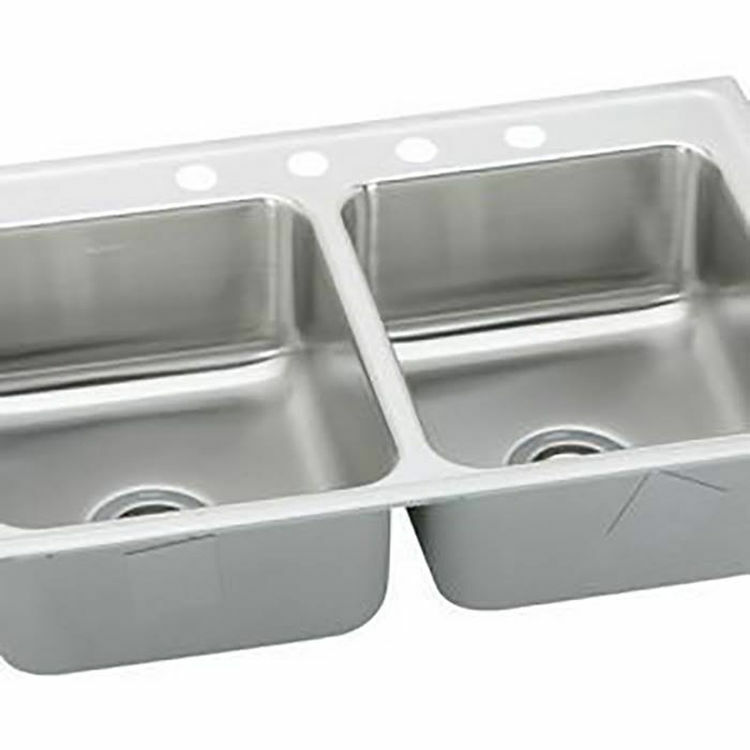 This Elkay LRADQ331965MR2 33 x 19 Inch Gourmet Sink with Quick-Clip is designed to elevate the culinary experience, and bring professional grade into each kitchen. This LRADQ Sink has an offset drain hole which are centered to left or right but are off center front to back. This Double-Bowl Sink from the Lusterstone Collection is constructed out of a Type 304 Stainless Steel, which is the highest quality Stainless Steel that won't crack, chip, or peel. The Type 304 Lustrous Stainless Steel used on this sink is non-porous, hygienic, durable and able to resist rust and corrosion for a lifetime. The Sink's underside is fully protected by a special undercoating to help dampen sound and reduce condensation. The Elkay LRADQ331965MR2 33 x 19 Inch Gourmet Sink with Quick-Clip design is compact and great for washing dishes, washing vegetables, or completing any other kitchen tasks. Other important Sink features include an 18 gauge nickel-bearing body, two pre-drilled faucet installation holes, and is just under 6.5 inches deep with an ADA Compliance. This Pre-drilled configuration is designed to center a single hole faucet, and includes a second or third hole for a soap/lotion dispenser or Faucet Spray to the right. Shipping Dimensions 20.9" x 9.4" x 39.3"
Shipping Dimensional Weight 43.98 lbs.